Adverticum Video, Mobile, Banner advertising network details. As a trusted brand with 16 billion advertisements per month to about 5 million Internet users, Adverticum impresses our customers by our leading online ad server system, Adverticum AdServer, operator and developer. We help business to run campaign administration smoothly, effectively and cost-efficiently. 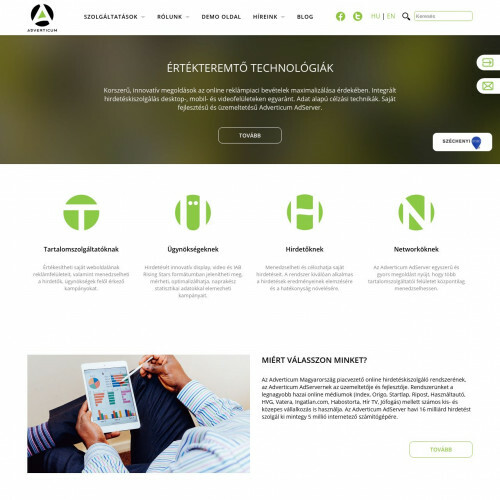 With Adverticum, both the largest online media across the world, such as Index, Origo, Startlap, Ripost, Used Cars, HVG, Vatera, Real Estate, Habostorta, News, TV, and small medium enterprises are employed. Thanks to high-end, independent ad serving system, you can easily manage ad space, analyze results, and enhance your revenue to max. Also, we provide cost-effective and time-saving solution that does not require your own resources. You can check Adverticum reviews on Affbank and ask Adverticum Team any question by using the contacts above, especially about how to earn money!